Those movie characters may have made comical, cultural icons of black grandmothers, but they don’t do them justice. They’re not even played by actual women. “If that’s what you’re getting, you’re missing what a lot of these women bring to bear on their families and communities,” said LaShawnDa Pittman, an assistant professor of American Ethnic Studies at the University of Washington. 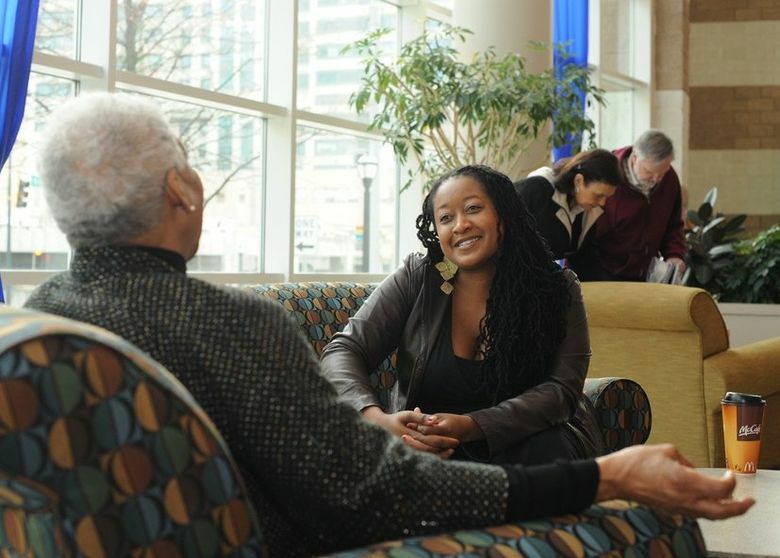 Pittman did her doctoral dissertation on black grandmothers: Their health. Their income issues. Their place in society as a stabilizing, nurturing safety net for families that, without them, might very well fall apart. Pittman has turned the stories into a website called RealBlackGrandmothers.com. The site is a place where people can post testimonials about their grandmothers, and archive the experiences of the women “who have played such an important, and unsung role in American society,” Pittman said. During Black History Month, the site will feature testimonials from 20 people whom Pittman considers “influential leaders” including Naima Mora from “America’s Next Top Model” and Seattle chef Edouardo Jordan. It is a role they serve with less money and more health problems than the general population. Consider: Around 7.6 percent of black women have heart disease, compared to 5.8 percent of white women and 5.6 percent of Mexican American women. In 2016, around 46 of every 100,000 black women died from strokes, compared to 35 of every 100,000 white women. They have a higher rate of diabetes, for developing breast cancer, and are more likely to die from cancer than white women. Black women have high labor-participation rates. They start working younger and work longer, historically, often as domestic and agricultural workers who did not receive Social Security benefits through their work. And, according to an analysis by the Institute for Women’s Policy Research, black women who work full-time and year-round earn 64 cents on the dollar compared with white men, the largest group in the labor force. Black women also experience high unemployment “and are overrepresented in jobs with little job security, few benefits and limited opportunity for advancement,” the IWPR said. This continues into old age, when black women are even more vulnerable economically and tend to assume greater caregiving responsibilities. “So they’re doing more with less, and with impaired health,” Pittman said. All this, while bearing witness to some of the biggest problems society has faced: Drug abuse. Racism. Mass incarceration. While working on her dissertation at Northwestern University and as a post-doctoral student at the National Poverty Center at the University of Michigan, Pittman interviewed 77 black grandmothers on Chicago’s South Side about their history, their health and their role in the family. 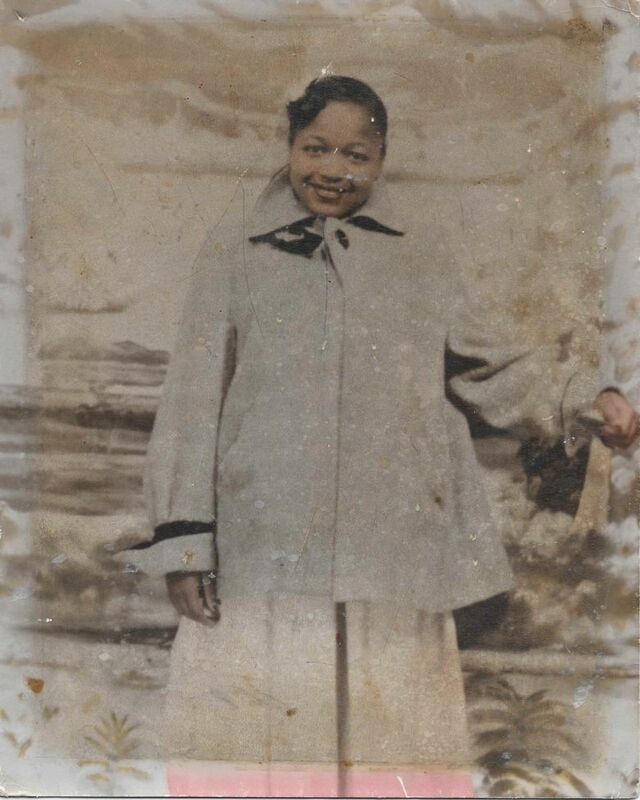 Pittman’s interest in black grandmothers started with her own, a woman named Warnella Wells, a nurse’s aide who lived in Kankakee, Illinois. Pittman’s mother, Joyce, got pregnant with her when she was 15 and gave birth to her when she was 16. “That’s somebody else’s scholarship project,” Pittman cracked. The three women all lived together until Pittman’s mother decided to “establish her own household,” Pittman said, even though she didn’t have a job. “That’s what you need black grandmothers for,” Pittman said. “She was accountability for my mom. Black grandmothers are the checks and balances for their kids about how they are raising their kids. Pittman is also working on a book called “Black Grandmothers From Slavery to the Present,” which she believes to be the first scientific study of its kind. The book has been a labor of love, but an emotional one, as well. While poring over slave narratives, she came upon the story of an older slave named Sarah who was not moving fast enough for the overseer. So he beat her down to the ground and threw her into a prickly pear bush, “and she died in agonizing pain,” Pittman remembered. The book will have an academic bent, so Pittman doesn’t expect it to be a mainstream read. The website is for everyone, though — and Pittman sees endless possibilities sprouting from it. With the help of archivist Sara Daise and some summer interns, Pittman has created a place where people can read stories, sayings, news stories and wisdom. She hopes to get testimonials from African-American artists like authors Toni Morrison and Alice Walker; Oprah Winfrey and Nikki Giovanni; and to inspire exhibits about black grandmothers in African-American history museums here and in Washington, D.C.
“I want RealBlackGrandmothers to be the go-to place for all things black grandmothers,” she said. Pittman wants people to use it to document their family histories; educators to use it to teach about grandmothers’ roles in African-American history and culture. She wants students, artists and entertainers to plumb it for research and ideas.